When we consider inheritance we usually think of money, property or sentimental keepsakes. But we know from research that even before our birth we are influenced by the mental, emotional and behavioural patterns of our mother, the family around us and those who came before – even if our parents are not the ones who raised us. This phenomenon is known as psychological inheritance. Psychological inheritance (also known as emotional genealogy) refers to inherited traits, reactions, patterns of behaviour and our take on life. They are passed down through the genes and persist over time, and we carry them with us, from situation to situation. The traits unwittingly handed down our family lineage can be positive or negative. For example, even if we were nurtured in a toxic fashion, we might still be endowed with optimism, gratitude, a love of nature, resilience, intelligence, self-esteem, talent, kindness, a spirit for adventure, humour, the ability to forgive and the capacity to love. On the other hand, we might have inherited patterns of anger, trauma, cruelty, avoidance, violence, fear or dissociation, even if our family environment is supportive and warm. If these negative traits are not acknowledged and addressed, we run the risk of passing these on to future generations, through our genes. How Does Psychological Inheritance Happen? Like silt deposited on the cogs of a finely tuned machine after the seawater of a tsunami recedes, our experiences, and those of our forebears, are never gone, even if they have been forgotten. They become a part of us, a molecular residue holding fast to our genetic scaffolding. The DNA remains the same, but psychological and behavioural tendencies are inherited. If negative experience is not transformed into something healthy and positive, the symptoms of that experience are transmitted to the next generation – and the next. In his book It Didn’t Start with You, award-winning psychologist Mark Wolynn tells us that the source of unexplained depression, anxiety, fears, phobias, obsessive thoughts and certain physical symptoms can be traced back to genetics. Some scientists refer to such symptoms as secondary post-traumatic stress disorder. There is a growing body of evidence that we inherit (and pass on) the negative feelings of our family of origin. But there’s good news: the cycle can be broken. Rather than turning away from it, seeking out our psychological inheritance gives us the opportunity to make sense of the generational dysfunction in our family – and, let’s face it: every family has something. This is where genealogy plays such an important role. By uncovering the source of the pain or anxiety we carry, we can consider what was passed to us – and what we would like our own legacy to be. We can begin to heal the wounds of the past to build a healthier, happier future. In my book “Who Do I Think You Were? A Victorians Inheritance” I turn toward various psychological theories in an effort to shed light on my grandfather Walter’s emotional inheritance. As I examined family records in the process of writing this book, I was starkly reminded of our ancestor’s imperative to find a way of meeting their basic need for food, water, warmth and rest, independent of their family and community. For Walter this was not the curse some might see it as, because it enabled his liberation. Despite the psychological inheritance he had received, his parents and community taught him the skills he would need to get by in adult life. As children, Walter and his peers knew they were needed. They understood their chores, foraging, fishing and earnings contributed meaningfully to the well-being of their family. As difficult as living with an alcoholic mother was, Walter’s competencies and resilience grew; and with this knowledge and assurance, he was able to strike out on his own, to build a new life for himself from scratch, beyond what he had inherited. 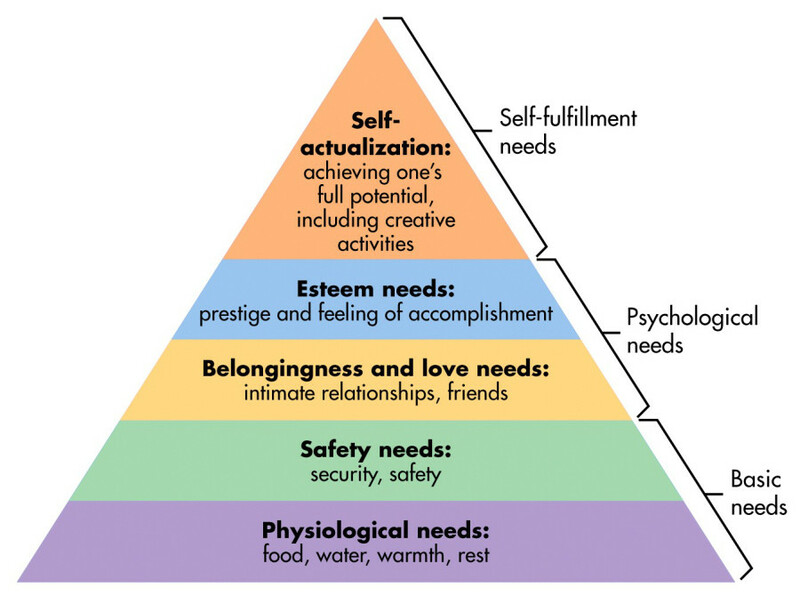 As I look forward through the generations, I glimpse each one striving for a higher tier as described by Maslow’s hierarchy of needs, no longer settling for simply being physically secure, but seeking inner growth and a greater sense of self. Today, many of us live comfortably. Fewer of us need to use all our time and energy to sustain life. Perhaps now we have the opportunity and awareness to explore and understand our past, acknowledge and lay to rest dysfunctional inheritance, and celebrate any bounty we have received. I hope you found this article informative, and perhaps you have been inspired to investigate your own genetic inheritance. If you’re interested in learning more about how trauma can be passed down genetically from generation to generation, click here to watch Professor Isabelle Mansuy from ETH Zurich and University of Zurich speak on the new field of epigenetics. We cannot know our ancestors’ psychological inheritance; but using current theories we can examine the records available to us and speculate in an informed way. We can honour those who came before and acknowledge what they endured so we could live. The good news for my grandfather Walter and his siblings is good news for all of us: our psychological inheritance need not define how we live out our lives. We can become more aware, and learn to live positively, thrive and pass on a different legacy to our children and grandchildren. Next time I’ll explore how to tease out clues to your ancestor’s inheritance from what you already know. Be sure to subscribe to this blog so you don’t miss that article.